Araucanas, a rare breed, have genetic anomalies that lead to high mortality rates inside the egg. 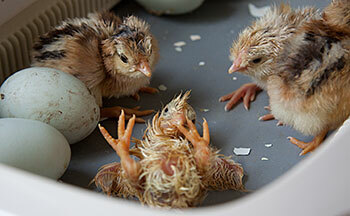 Those that hatch usually lack traits deemed desirable by the American Poultry Association (APA). Only dedicated breeders with time, patience, and discretionary income show Araucanas. 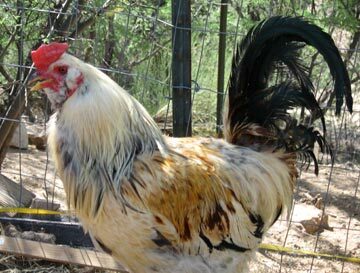 The common Araucana makes a good dual purpose chicken. They lay three blue eggs a week through spring and summer with a rapid decline in production through the winter months. Unlike many egg layers they also function well as a meat producing chicken. Araucana owners describe their chickens as friendly, non-aggressive, and good toward chickens and children alike. Children can walk through a flock of Araucanian without fear of attack from the roosters. In addition, they get along well with each other within the confines of the coop. 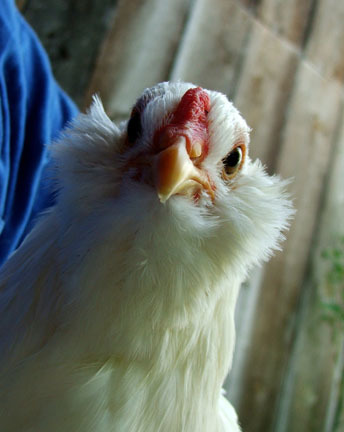 Hand raised, the Araucana will easily accept the role and perks that come with pet status. However, left alone they fend for themselves in true feral fashion. Araucanas tend to brood more than other breeds of foraging chickens which accounts for their high tolerance to confinement. 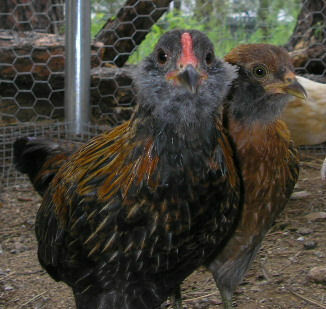 Araucanas have the most unique appearance of any fowl in the poultry world. True-breed Araucanas have no tail and go by the name “rumples.” In fact, many Araucanas lack the vertebrae where tail feathers usually grow on other breeds. APA sanctioned Araucanas have feathers sticking out by their ears called ear tufts. Sadly, the gene that causes ear tufts also kills a good percentage of their offspring. Araucanas come in many colors including black, black red, gold duck wing, silver duck wing, and white. Judges rate Araucanas on body traits as much color. Araucana present few problems for a reasonably equipped chicken farmer. However, owners should expect a higher than normal mortality rate during incubation. Araucanas like green grass and will eat it down to the nub quickly. Move the coop and run on a regular basis to satisfy their green hunger. Araucana lay heartily through spring and summer with a precipitous decline in the winter months. They make good eating, and one might do better to butcher and start over next spring. If you have a desire to show, buy good quality eggs or hatch lings from a reputable, established breeder. 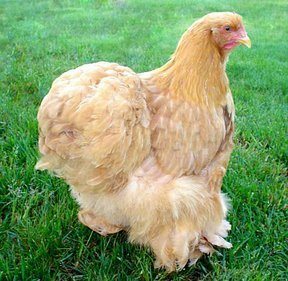 Tracing the origins of chicken breeds can prove challenging to even the most ardent. Most breeders trace Araucanas back to Chile and the Indian tribe of the same name. Early reports claim that Ferdinand Magellan, the great explorer of the sixteenth century, carried Araucanas back to Spain. They went largely unnoticed until the Santiago exposition in 1914 when a visiting poultry expert took pictures and later reported his finding to First World’s Poultry Congress in 1921. 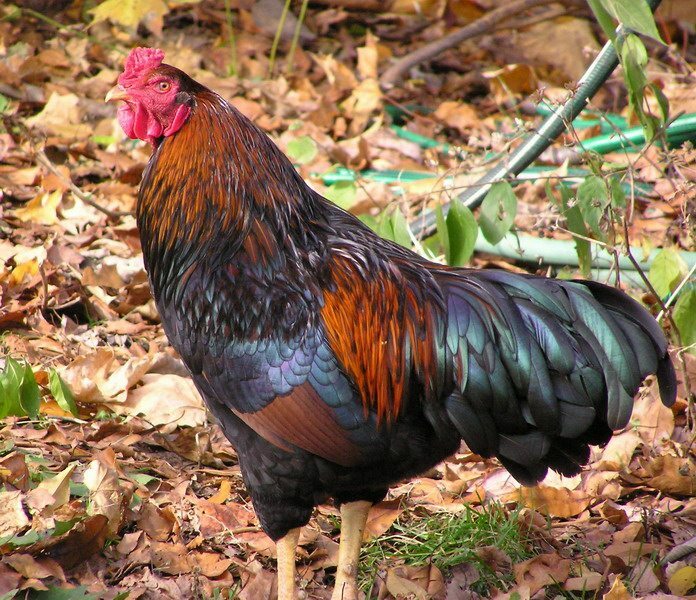 This blue-egg chicken created quite a stir in the poultry world. For the next three decades the breeding and development of the Araucana proceeded along two very different lines. In 1976 the APA declared the rump less, tufted fowl an Araucana and gave it official entry into The Standards of Perfection.